Life of Dexter Gordon is a good way to follow a common thread in Jazz History. In America these cats were not respected... even though they were creating something special! Dexter Gordon was an American jazz tenor saxophonist, and an Academy Award-nominated actor! The cat was that cool! He is considered one of the first bebop tenor players. A famous photograph by Herman Leonard of Gordon smoking a cigarette during a set at the Royal Roost in New York City in 1948 is one of the more iconic images in the history of jazz. Gordon's height was 6 feet 5 inches (about 196 cm), and so consequently he was also known as 'Long Tall Dexter'. 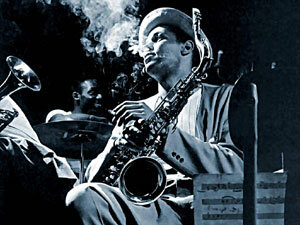 Dexter Gordon was one of the coolest Jazz-Cats! Dexter is what "JAZZ STYLE" was all about! Can you dig it? The brother had great sound on the sax, good looks, suave style, and a great personality! 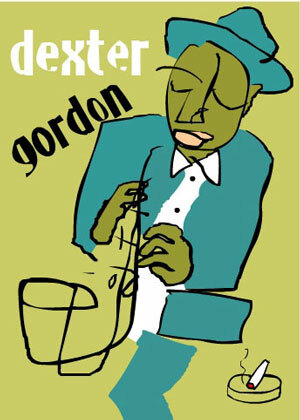 Gordon was an early influence on John Coltrane during the 1940s and 1950s.